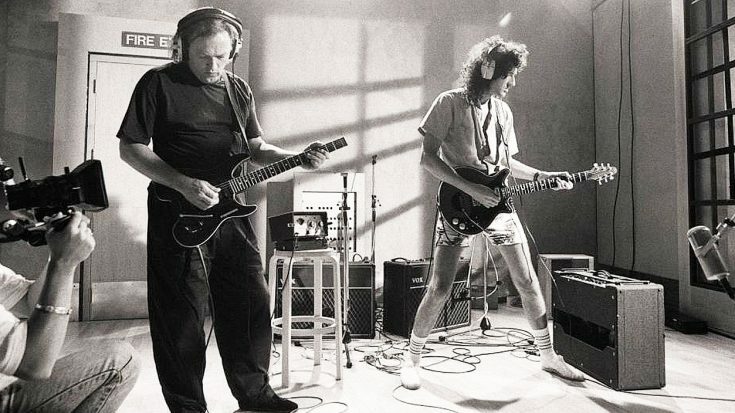 David Gilmour, Brian May, And Many Others Team Up For Wicked Cover Of ‘Smoke On The Water’ – This Is Awesome! It’s not all that often that you’re able to have several rock legends congregate in one place to create rock magic. Most often whenever it happens it turns out to be one of the greatest things to ever happen to music. Sometimes it’s not so great, but very rarely is it ever simply phenomenal. This video we have here is one of those few times where it’s simply phenomenal. What you’re about to watch is a video in which rock legends such as David Gilmour, Brian May, Tony Iommi, Bruce Dickinson, Roger Taylor, and many MANY others all meet in a studio to perform a wildly amazing cover of the iconic smash rock hit Smoke On The Water. Just hearing all those names in one sentence is enough to generate monumental excitement, but just wait until you hear how this masterpiece sounds!